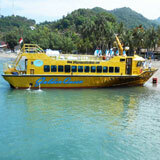 Bali island is one of the top-ranked tourist attractions in Indonesia and even in the world. Known also as the Island of the Gods, Bali has a unique variety of cultural arts and customs, a friendly community, incredible panoramic views, beautiful beaches, and others. Bali has many interesting places to visit. 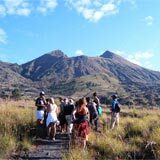 In addition to mountains, beaches, waterfalls, historic temples, Bali has begun to develop attractions that aim for nature conservation. Established in 2007, Bali Safari & Marine Park was developed as one of the largest and most comprehensive recreational parks in Indonesia. 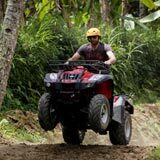 When you have a vacation plan in Bali, we advise you to include Bali Safari & Marine Park in your travel plans. 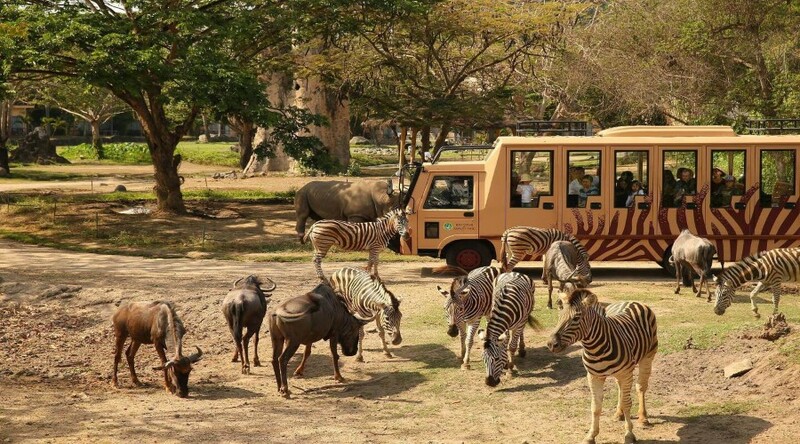 By boarding a safari bus, you can enjoy the atmosphere of the zoo and take a closer look at the wildlife variety, watch the exciting entertainment of tiger or elephant performances, to caress a sweet orangutan baby. Located in Gianyar, Bali Safari & Marine Park is built and developed on an area of 40 hectares and has at least 60 species of wild animals! 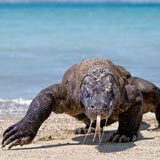 This park is also one of several animal sanctuaries that nourish and breed Komodo and Bali Starling birds. Bali Safari & Marine Park is also home to endangered animals such as Sumatran elephants, Sumatran tigers, and Indian white tigers. 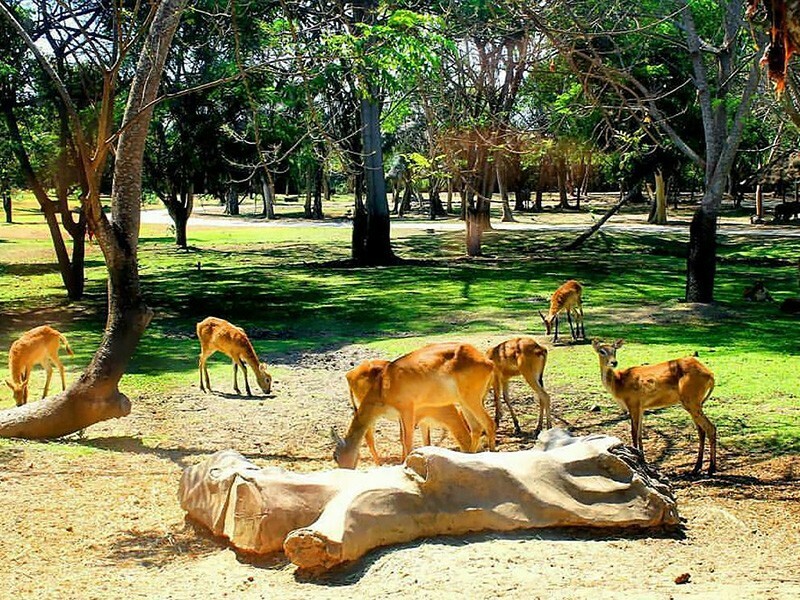 You will feel like being on a real African safari because this park also has many wild animals from Africa, including hippos, ostriches, bears, and zebras! 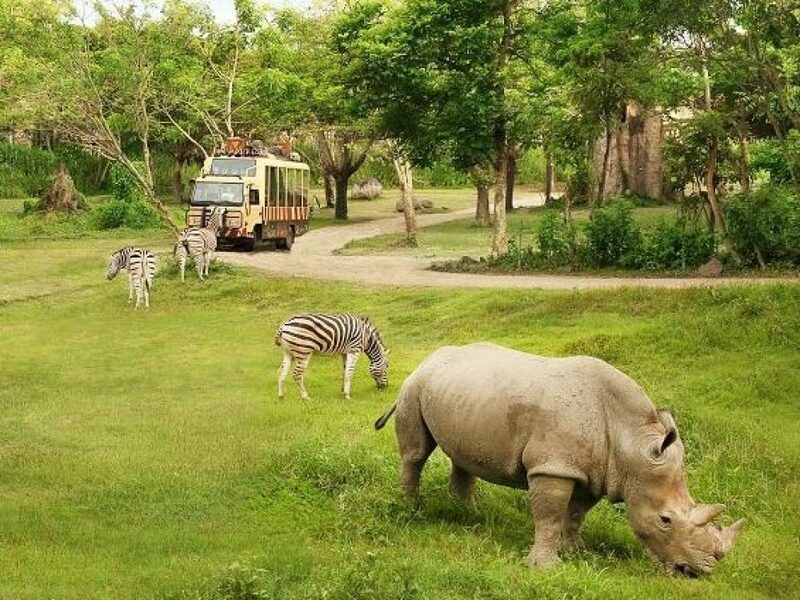 The rich collection of Bali Safari & Marine Park consists of eighty species and about 400 specimens from three regions - Indonesia, India, and Africa including Himalayan bears, antelope, spotted deer, African hippopotamus, ostrich, zebra, and lion. Among the many species of animals, there is a very interesting and famous animal that is white Indian tiger. 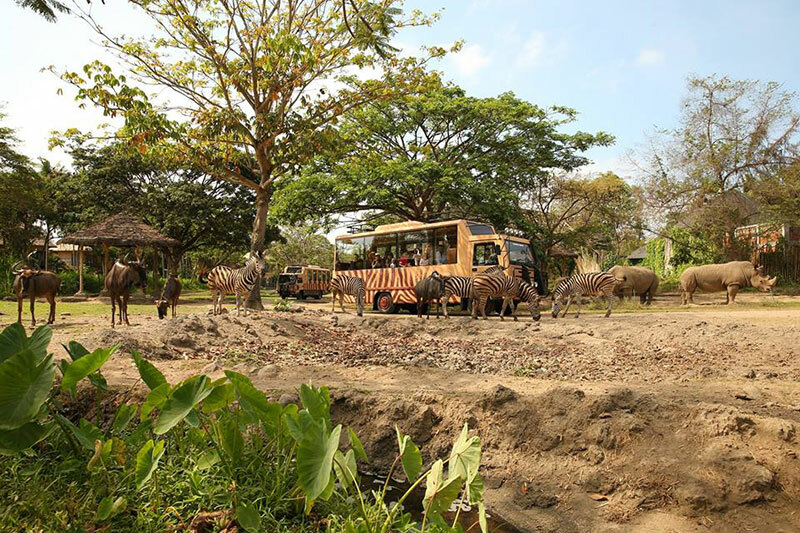 Visitors to the safari buses are invited to walk through several areas within the park. The safari trip brings guests through man-made habitats in Indonesia, India, and Africa on a specially modified safari tram, allowing tourists to see wildlife collections that live naturally in the open and you can take as many photos as you can they want, all done from within a comfortable and safe air-conditioned safari tram and accompanied by a professional personal guide. 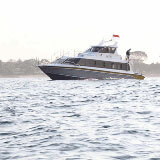 For those of you who want to visit Bali Safari & Marine Park, we have prepared some packages below. Tsavo Lion invites you to have a close encounter with real wildlife. Through the full-length glass panels surrounding the restaurant, you will see a pride of lions while enjoying delectable cuisine. 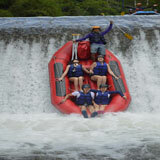 Filled holiday in Bali and visiting Bali Safari & Marine Park, select a package Jungle Hopper. You will be invited adventure and a close look at endangered species of wild life. The combination of Balinese culture that is strong and wild, creating an impression that will not be forgotten. 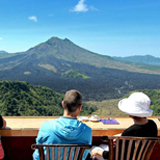 Enjoy the best safari experience in Bali at the home of hundreds of amazing animals representing over 60 species, including some rare and endangered species such as the Komodo, Orang Utan, and the Bali Mynah. Bring the whole family and relatives to come and enjoy all the exciting rides provided by the Bali Safari and Marine Park. 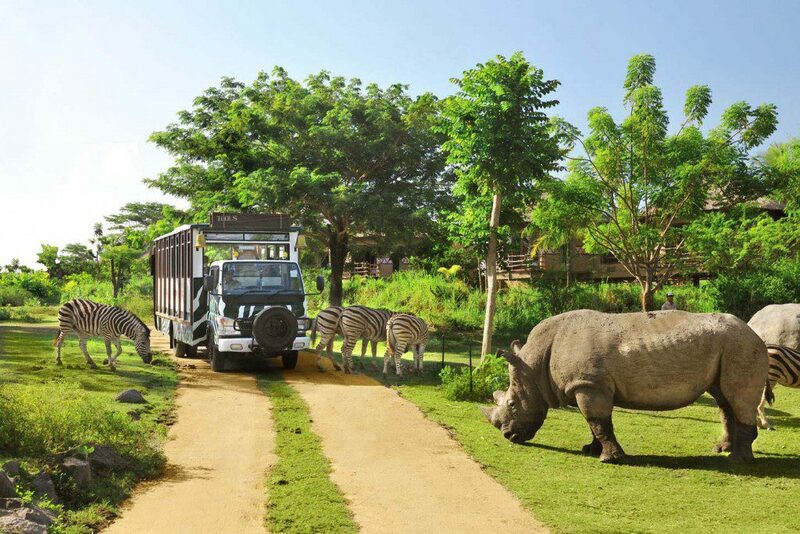 A blend of zoo and amusement park like no other in Bali. 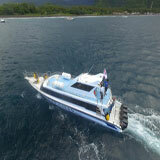 Filled holiday in Bali with something different to the Night Safari package - Bali Safari & Marine Park.